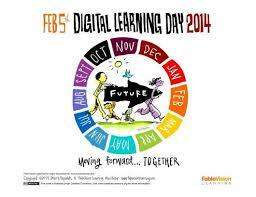 Digital Learning Day is a yearly scheduled event to help focus on learning through different technology platforms. It is a great way to get students excited about using technology and to see the abilities that it has to enable their learning. Twitter was filled with amazing examples around the globe of educators using technology with their students in numerous ways. It was inspiring to see and to participate in the conversations. Here are a few comments that stuck in my mind. I’m lucky enough at my school to have a variety of technologies to use: ipads, laptops, smartboard, flip cams. Our day was filled with exciting activities that had the students actively learning new things. 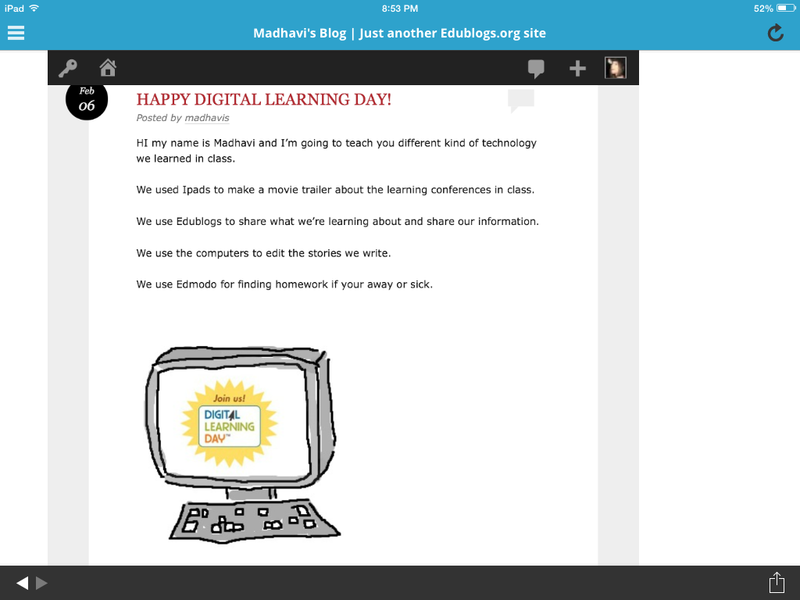 Close to the end of the day, a student asked me if they could blog about what Digital Learning Day is, so I of course gave everyone some time to type an entry. Here are a few examples. Their reflections were great and each varied in meaning and understanding. We are lucky to have such an easy accessibility to technology. I sometimes feel that we forget that we’re even using it. Days like this are a fantastic opportunity to reflect upon how technology can help us leverage teaching and the improvements and ease it allows. Be thankful we have it. Be appreciative of the abilities it grants for us. Be mindful of the possibilities and immense learning opportunities it creates. 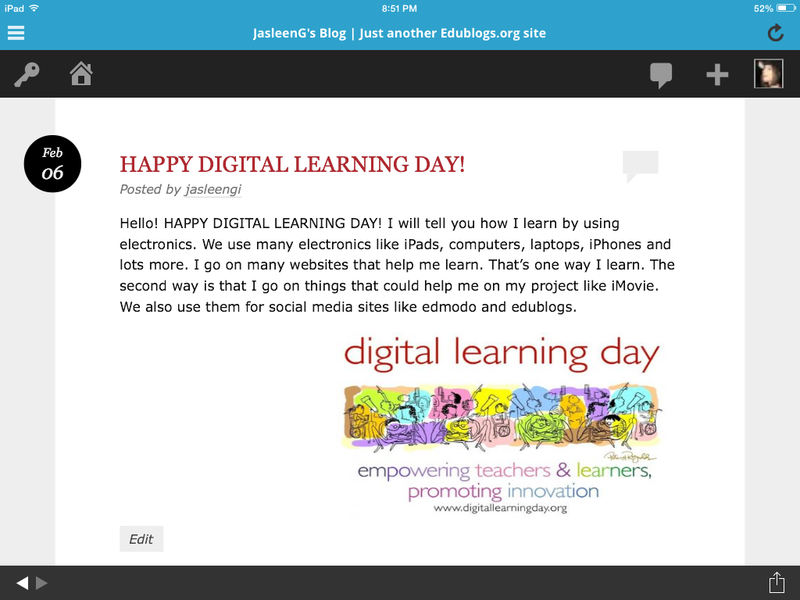 This entry was posted in Approaches to Teaching and Learning, Meaningful Learning Activities, Planning Activities, Variety of Technologies and tagged #DLDay, Digital Learning Day, iPads, laptops, technology by ekpetley. Bookmark the permalink.